You will Watch G.I. 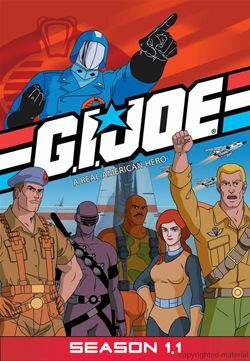 Joe: A Real American Hero Season 1 Episode 52 online for free episodes with HQ / high quality. Stream cartoons G.I. Joe: A Real American Hero Season 1 Episode 52 The Great Alaskan Land Rush G.I. Joe and the Oktober Guard need to locate the real Seal of Alaska before Cobra takes control of Alaska and its resources. While searching, the Joes and Red Oktober get captured by 19th century Cassocks who bring them to Captain Lukrov who has the great seal. But he loses it to Cobra and Duke makes a deal with Lukrov to retrieve it.